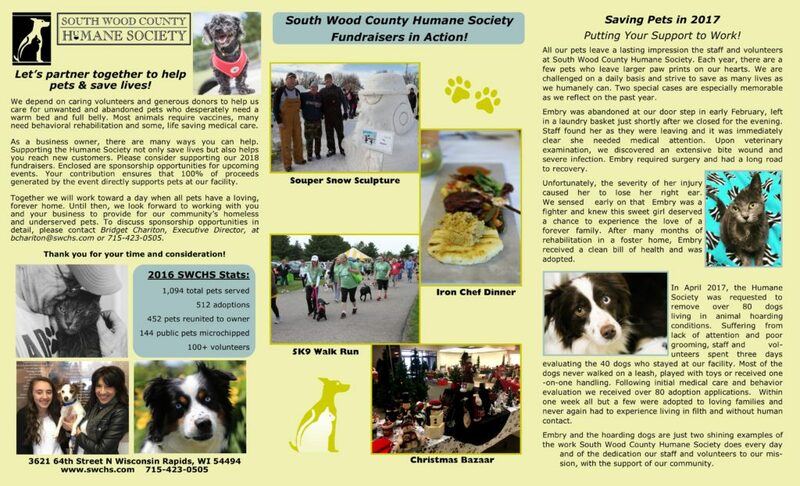 Consider supporting South Wood County Humane Society’s current and future homeless pets through sponsoring a fundraising event. 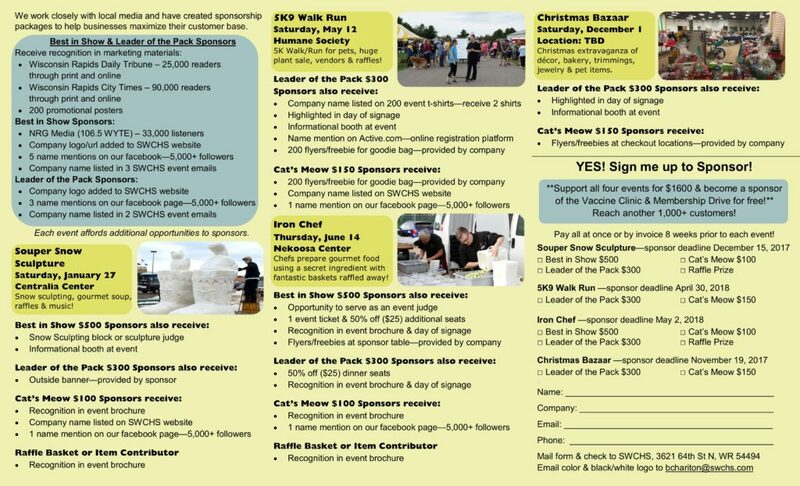 Click to download and print the Sponsorship Mailing 2018. Copyright © 2019 South Wood County Humane Society. Powered by WordPress. Theme: Spacious by ThemeGrill.